We recently returned from our first visit to Puerto Rico. 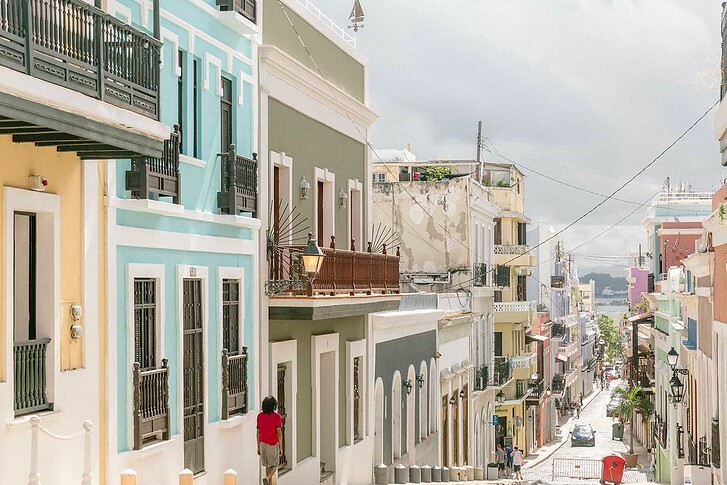 We spent 5 days in San Juan, exploring the capital city with a couple day trips in between. The island is all the things you expect from the Caribbean and more! If you’re looking to plan your own trip to Puerto Rico, we’ve got you covered. Keep reading for a sample Puerto Rico itinerary! 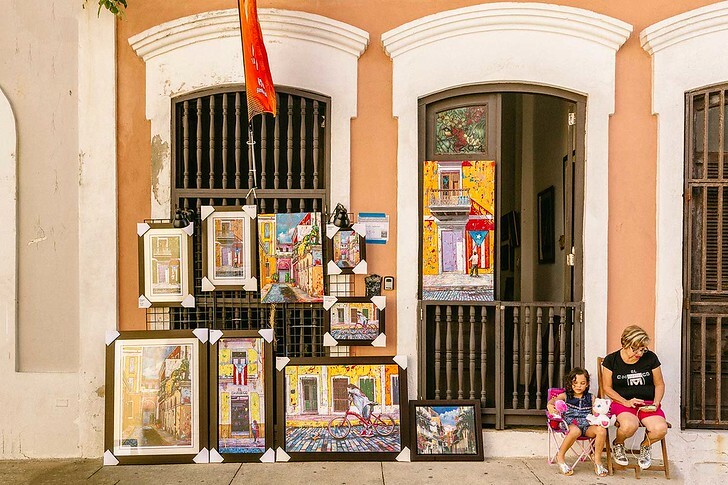 Colorful streets, Old World architecture, killer cocktails and a wonderfully warm people lend Puerto Rico a casual and fun vibe. Since we visited Puerto Rico after Hurricane Maria, we weren’t quite sure what to expect but quickly realized how fast the country has mobilized to rebuild itself. We recommend spending 4 to 5 days in Puerto Rico. While the island is quite small (about the size of Connecticut) there’s lots to see, do and eat! We flew from New York City to San Juan on a short, 3.5 hour flight. If you fly Jet Blue, the San Juan terminal is brand new and we were off the plane and into our car in under 15 minutes (I kid you not!). I’ve never breezed out of an airport so easily or quickly. If you haven’t booked flights yet, set an alert to be notified when deals occur. Puerto Rico airport is located just 20-30 minutes outside the capital city and we checked into our hotel in Condado right away. After a refreshing lunch by the ocean with fish tacos and some coffee, we set out to explore Old San Juan. The colonial Old City was first settled by the Spanish in 1508, and formed an essential stopover from Europe to the Americas. 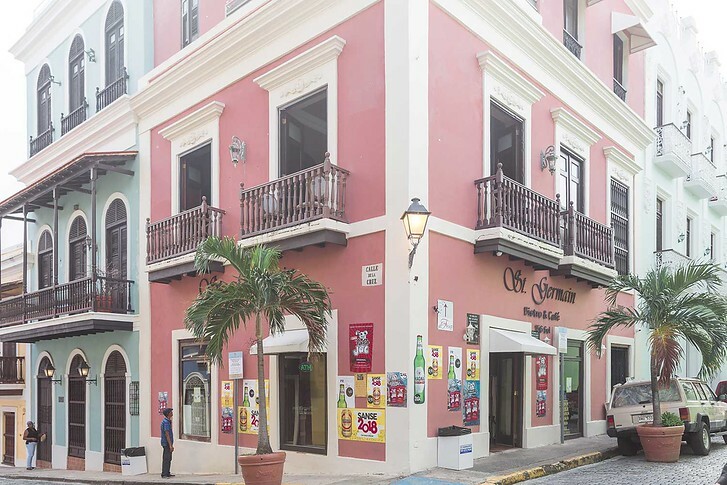 Due to the strategic position in the Caribbean for merchant and military ships transporting gold and silver, Old San Juan was heavily fortified and on a walking tour of the city you can spot the thick, tall limestone city walls, the old city gates and 3 old forts. 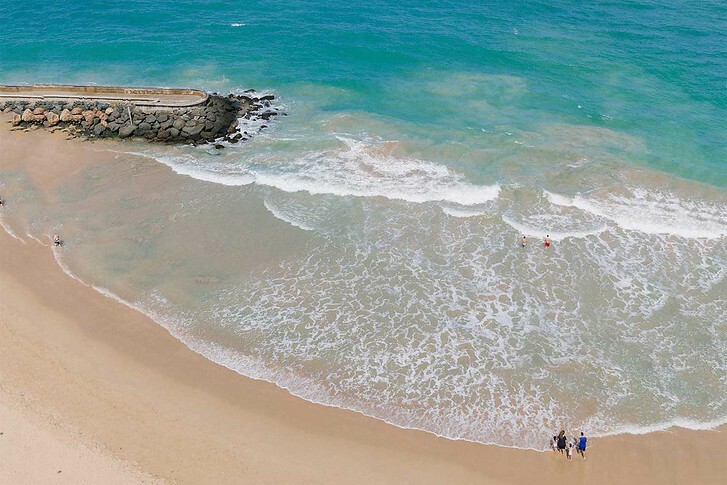 La Concha is an upscale hotel right on the beach in Condado, a residential district known for its pedestrian friendly sidewalks and great shopping. 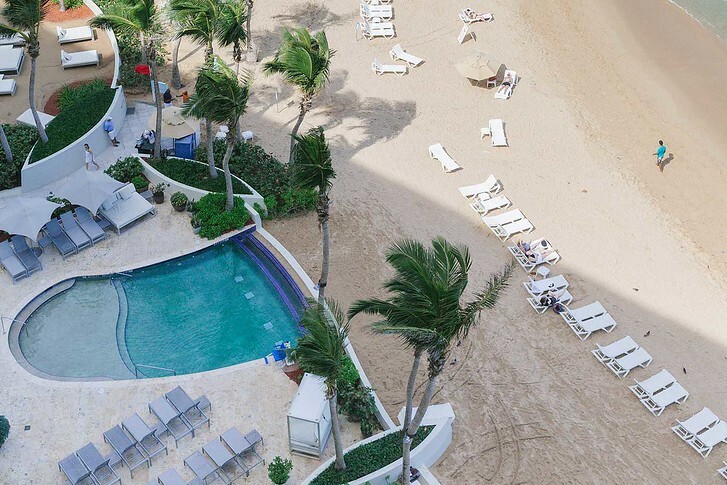 With lots of on site restaurants, a hip happening lobby bar and infinity pools overlooking the ocean, La Concha is a great hotel choice for Puerto Rico! Culebra is a remote island east of Puerto Rico mainland, with a series of beautiful beaches and cays. There’s Flamenco Beach famous for its hills and white sand beaches, Culebrita known for its great snorkeling and Punta Melones for its dramatic sunsets. 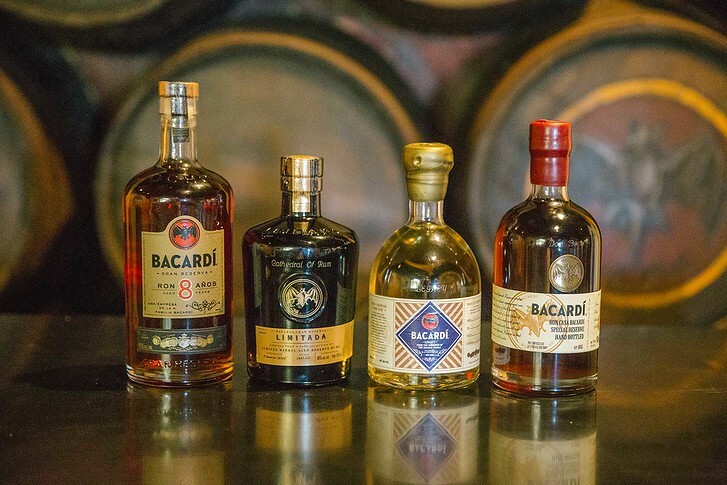 Bacardi’s largest rum factory in the world is based in San Juan, Puerto Rico. A visit here is not to be missed! Tours come with 1 free cocktail but we also opted to take the rum tasting tour, where we were introduced to Bacardi’s 5 different rums and taught to sip and taste them properly! It was such a fun experience – especially because I never thought I’d enjoy sipping rum on the rocks. The previous night, we also tried some local Puerto Rican rums after dinner which I also highly recommend. My personal favorite was Barrilito 3 stars, which has much stronger caramel notes than Bacardi’s 8 year rum. For dinner, we headed to a local hot spot called Lote 23. The original lot was transformed into local food trucks, each selling different appetizers, dishes and drinks. There are plenty of outdoor tables to sit and chat with friends and on the night we went, there was also a chef battle on the center stage! We decided to cancel our plans for our last full day in Puerto Rico and revisit Old San Juan. We loved the colorful streets and architecture reminiscent of New Orleans and wanted to spend the day relaxing, trying out some coffee shops and local restaurants. The first day, we did a historical walking tour and focused on the museums, forts and churches so today was a more local experience! 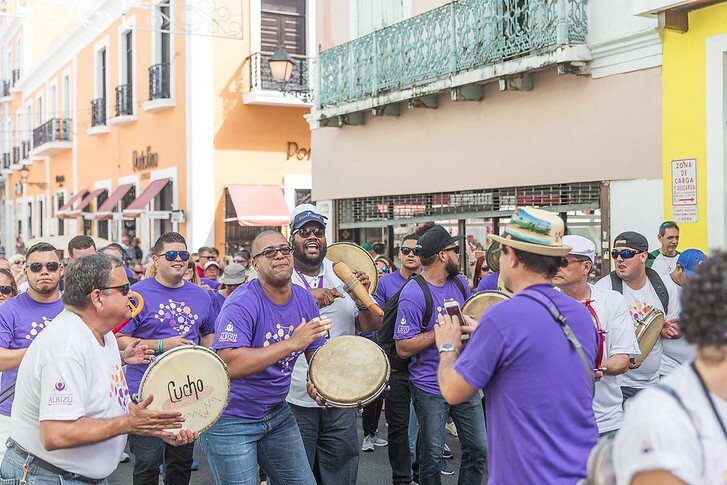 It also happened to be the week of San Sebastian Festival, a Puerto Rico version of Mardi Gras. 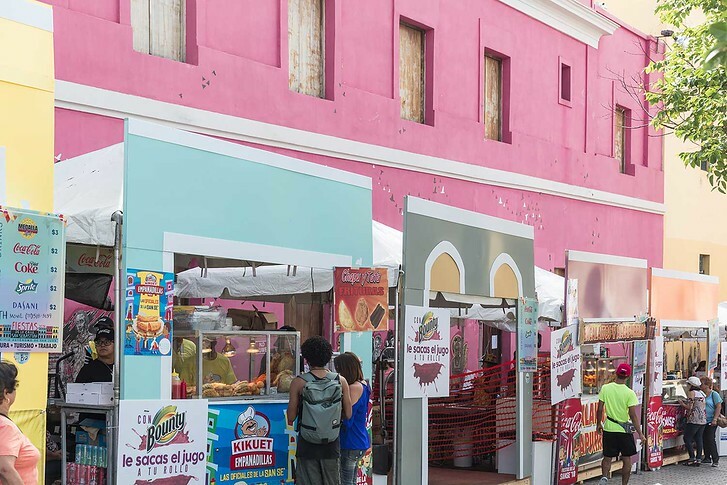 Food trucks set up early in all the main squares, selling delightfully heavy fried goodies and Medalla beers. All the bars opened early and dance troops took over the streets for fun parades! We loved the crazy, packed atmosphere and if you can time it, would definitely recommend visiting the tropical island during any of its many festivals! For lunch, we opted for something light since it was quite humid and tried out Verde Mesa, a cute rustic pescatarian spot on the edge of the city. It’s also just a block away from Senor Paleta, a famous local ice pop shop. Afterwards we browsed some art galleries and then headed back to our hotel to spend the afternoon at the beach! On our last day, we got some food by the bar and had one last dip in the pool before our flight home! And that’s it, our 4 days in Puerto Rico in a nutshell! 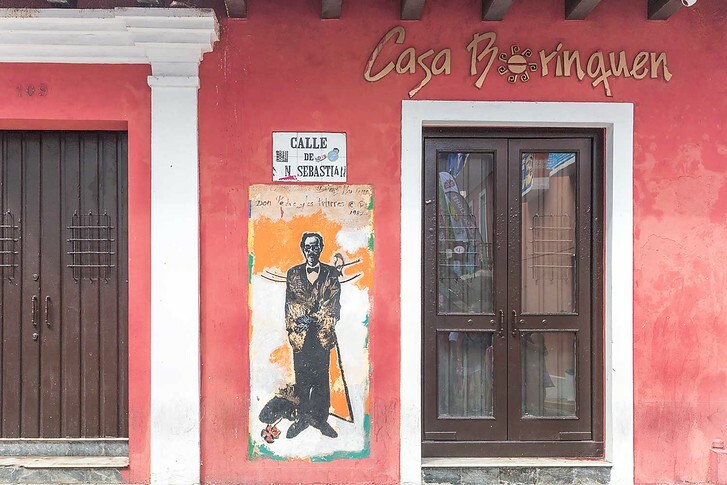 Hope you liked our San Juan itinerary and that it gave you inspiration as you plan your own trip to Puerto Rico. While most cruise ships dock on Old San Juan for just an afternoon, we highly recommend extending your stay if you can. 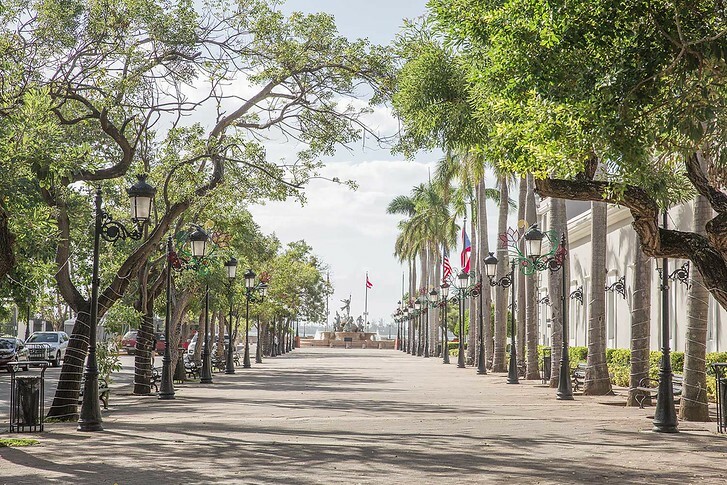 We heard that Viking River Cruises offers pre and post extensions in San Juan (they happen to also stay at the La Concha resort) so that could be a great way to experience a week in Puerto Rico!